Made from MATBOCK GHOST® material, engineered with Ultra-High Molecular Weight Polyethylene (UHMWPE). This is the highest strength to weight ratio material on the planet. 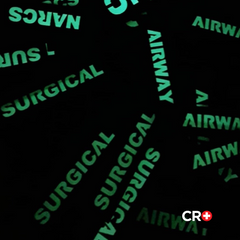 It is designed with more than medical in mind. Comes with the GRAM™ which zips to the front. Other kits can also be used, ie. demo, high angle rescue, comms, etc. The total capacity is 38L. 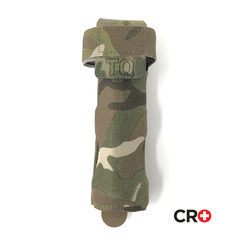 9L expandable top cover which is also an OP bag. Taking real life into account, we made it into a three day SR bag. 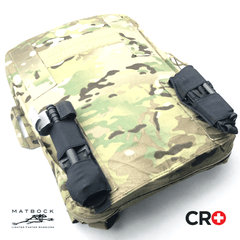 Designed to carry Matbock Carbon Combat Poles. Adapts to any ALICE. Pictured is the MR frame. Well thought out with 29L of mission storage. 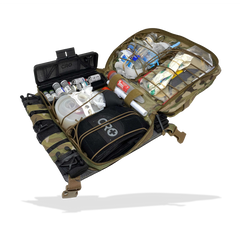 The inside can also be utilized as a hanging PFC loadout with vents, monitors, and all that. Includes that awesome Hard NARC Case™. 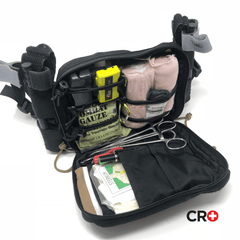 *Graverobber™ Assault Medic bag included (converts to the Skeleton med bag). Allow 4-6 weeks for all Ghost® products.